This article has been tagged as Needing work due to its lack of concrete citations and notability. 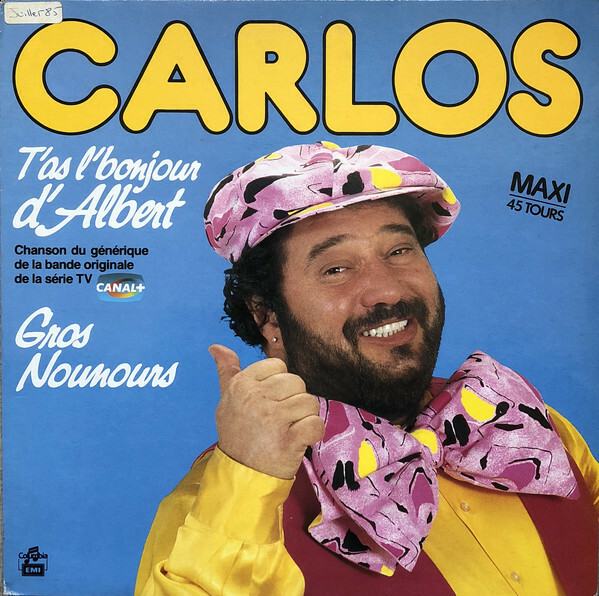 Entertainer Carlos as he appears on the soundtrack cover for T'as l'Bonjour d'Albert. Fat Albert & The Cosby Kids was a cartoon that ran from 1972 to 1984. It was co-produced by Filmation and Bill Cosby Productions. When the show was exported to France, the French TV station CANAL+ picked it up for editing. Outside of renaming the show T'as l'Bonjour d'Albert (which can be translated as "You've got the hello from Albert") and giving the show a new opening, one significant change was replacing one of its biggest features. The show is most well-known for having live-action segments hosted by Bill Cosby himself, usually to pop in and explain details to the audience. 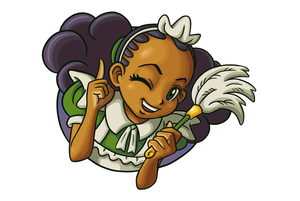 In the French version, the new segments star the country-wide known (at the time) French singer, entertainer and actor Carlos. Instead of the set resembling a junkyard, the set in the French version was much more tropical, keeping in style with Carlos's "fun beach-going" persona. Carlos also voices Fat Albert in the dub, just as Bill Cosby did in the original. Some episodes have been uploaded to YouTube and Dailymotion by TV archivists, otherwise, this is lost media. The only known home video releases are some VHS tapes released by the company Kid Vision.